Panasonic Australia introduced today the two newest members of its Tough family of rugged consumer electronic products – the FZ-GI Toughpad and the Toughbook CF-AX2 Ultrabook. Panasonic Australia introduced today the two newest members of its Tough family of rugged consumer electronic products – the FZ-GI Toughpad and the Toughbook CF-AX2 Ultrabook. Both devices run on Windows 8 but as their respective name implies, the two differ in their form factor with the Toughpad being a tablet while the Toughbook is of course an Ultrabook. The Toughpad FZ-G1 features a 10.1-inch sunlight viewable touchscreen with the next generation IPS outdoor technology. It has a resolution of 1920×1200 pixels and is powered by an Intel Core i5-3537 1.9GHZ vPro processor that delivers faster operation and device management. Panasonic claims that the FZ-G1 is the industry’s thinnest, lightest and fully rugged tablet. The Toughbook FZ-G1 weighs around 1.1kg and yet is robust enough to handle the needs on business in mission-critical and mobile roles in sectors including FMCG, defence, utilities, mining and healthcare. The FZ-G1 battery will power the tablet for approximately 8 hours on a single charge. And as with other tablets, the unit features Bluetooth, Wi-Fi, and an optional 3G mobile broadband. The Toughbook CF-AX2 on the other hand is Panasonic’s convertible Ultrabook. It weighs only 1.15kg and is only 18mm thick. It’s most notable feature of course is its unique 360 degree flip-over hinge design which allows users to transform the device from an Ultrabook to a touch-screen tablet. 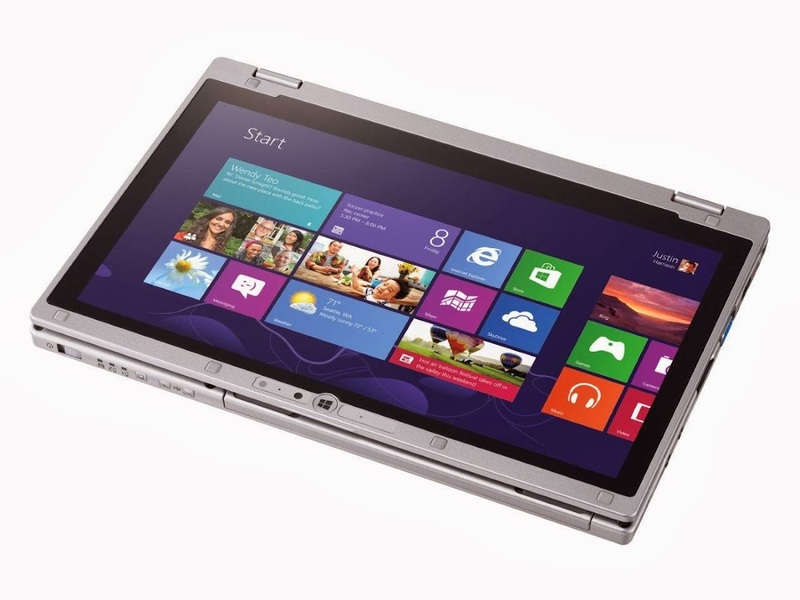 The CF-AX2 has a 10-finger capacitive touchscreen that is very easy to use both in tablet mode and in notebook mode. The 11.6-inch (16:9) display has an anti-glare film which is optimised for the needs of users who will work with the device both indoors and outdoors. The Ultrabook is powered by a low power consumption Intel Core i5-3427U Ultra Low voltage CPU clocked at 1.8GHZ and will provide consumers with 4GB RAM and 128GB SSD as standard. Moreover, just like the Toughpad, the CF-AX2 has a battery life that will last for around 8 hours, however, the Toughbook offers hot swappable batteries to extend its usability. Both products are now available in Australia with the Toughbook retailing for about $2499 while the FZ-G1 Toughpad will sell for around $3299.